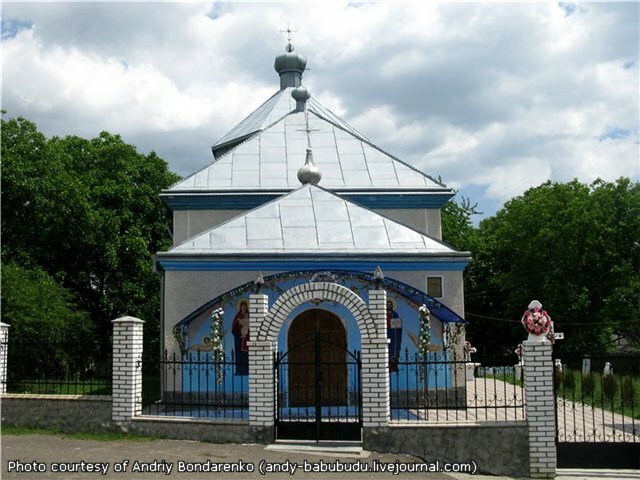 Repuzhyntsi is located on the right Dnister bank several kilometers to the East from Chreshchatyk. 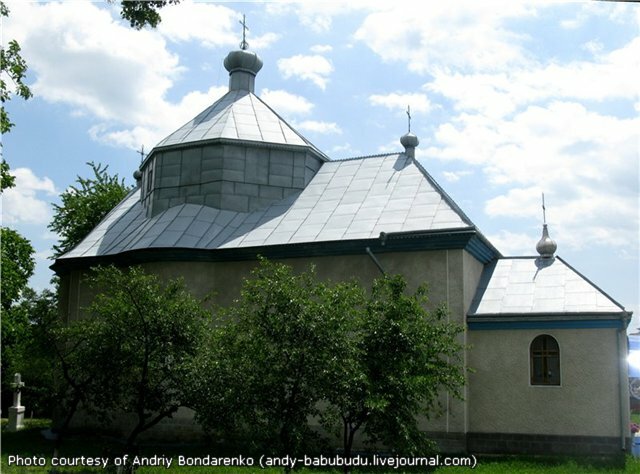 The village was founded in 1353 by the local landlord Askold Rpuzhynetskiy. 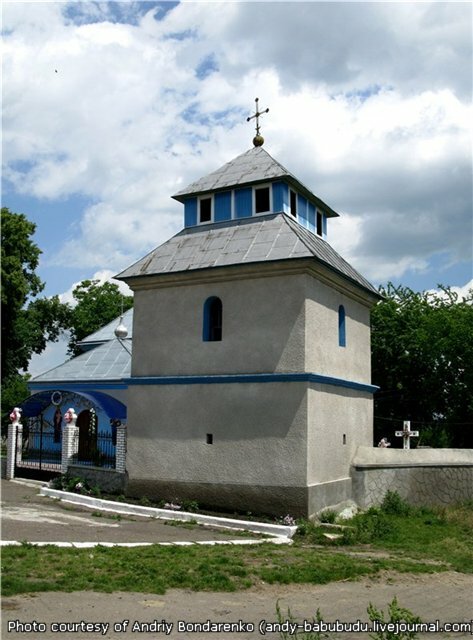 Later the village fell to decay due to Tatar attacks and revived in 1772. 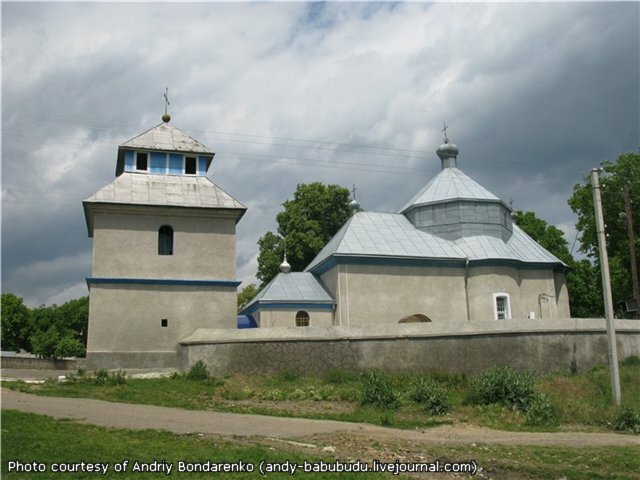 Before the World War II Repuzhyntsi was famous for its nicely looking castle palace of the local landlord and today this ancient village is well-known for its Gothic-styled mausoleum and the stone Pokrov church made in the style of Ancient Rus and Bukovyna with XVIII century paintings and distinctive bell tower made of stone and wood. 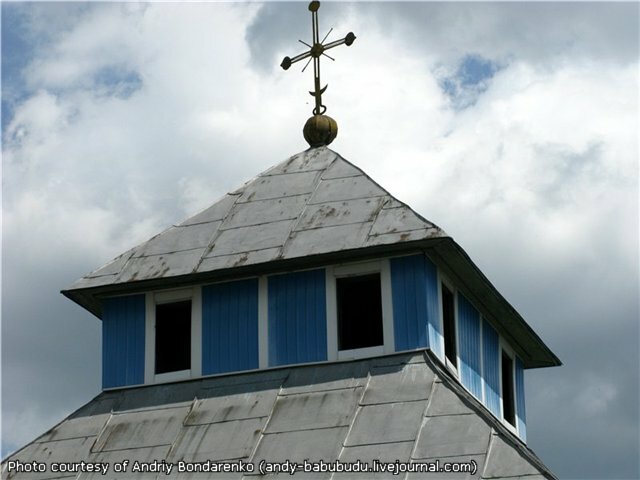 Pokrov church is dated 1791 and looks like a ship. The church walls have no ornaments and are half-a-meter thick. The few windows look rather like balistraria, which witnesses of structure’s defensive nature. 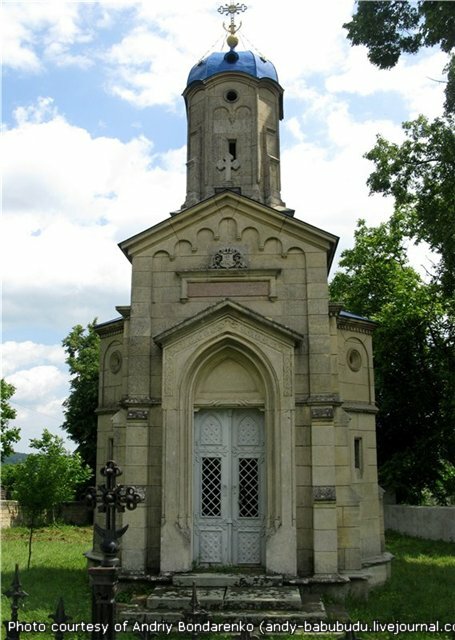 The upper part of the entrance to the bell tower located to the North-West from the church there has the date and the name of Basile de Marko, its founder whose face can be seen on interior wall paintings. Church exhibits include unique items and books, in particular several gospels older than 10 years written in Old Church Slavonic and the gospel from in Latin kept in the church altar. 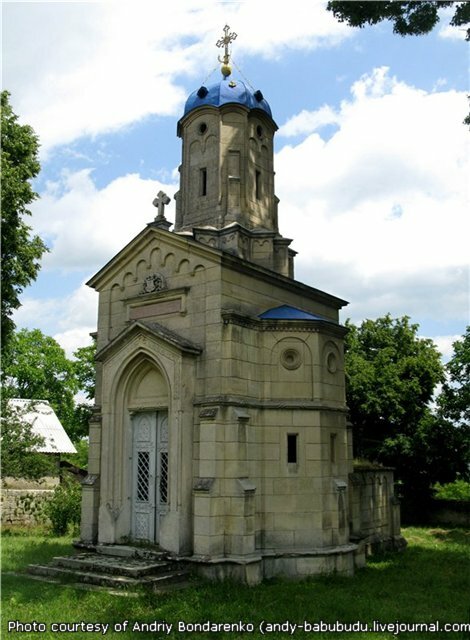 The church territory has several crosses under which priests are resting and the family vault of its founders.